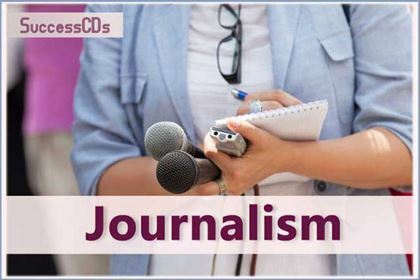 Top Mass Communication Entrance Exams 2019 - Mass Communication and Media studies is a good career choice for people with an outgoing personality. After pursuing a course in mass communication, one can work for various newspapers, television channels, magazines, radio stations as well as films. Apart from this, one can also make a career in advertising agencies, PR companies and event management firms. Some other popular specialisations in the journalism field are available in press law, television and photography. The entrance exam of the Indian Institute of Mass Communication (IIMC) holds one of top examinations in India. The institute conducts the examination to give admissions in various post-graduate diplomas in journalism like English, Hindi, Oria, Radio and Television, and Advertising and PR. The candidates need to be a graduate in any discipline. The Jamia Milia Islami's department A.J.K Mass Communication Research Centre conducts the entrance examination for admitting students for full time Master's degree programme. The Guru Gobind Singh Indraprastha University (GGSIPU) conducts the Common Entrance Test (CET) for giving admissions to students in various graduate and master courses. It offers programmes like Bachelor of Journalism and Mass Communication (BJMC), Master of Mass Communication (MJMC) Weekend and Master of Arts (Mass Communication) regular. The B.A. (H) Multi-Media and Mass communication (BMMMC) is a self-financed programme which is UGC affiliated, however, runs only by I.P College under the University of Delhi. The entrance exam is conducted in two tiers. The MGM College of Journalism and Mass Communication conducts their entrance exam to give admission to students in MA/BA and Mass Communication and Journalism programmes. The Film and Television Institute of India, Pune is one of the prestigious institutes in India that gives admissions to students in various post graduate courses. All the candidates interested in taking admission in Direction and Screenplay, Cinematography, Acting and editing among others need to have a full time Bachelor's degree in a relevant discipline. The Andhra University, Visakhapatnam and Dr. B.R.Ambedkar University, Srikakulam conducts a common admission test for giving admission into post graduate mass communication programmes. The university offers MJMC (Master of Journalism and Mass communication) for 2 years and MS Communication and Media Studies, which is also for 2 years. This university offers varied courses in the department of mass communication. The university conducts written test to give admissions to students in PhD, M.Phil and other post graduate courses. The Banaras Hindu University is one of the oldest institutes across India. The university offers both Bachelor's and Master's degree programmes in mass communication. Symbiosis Entrance Test is a common written entrance exam conducted by Symbiosis international University to offer admission to aspirants in all undergraduate programmes offered by it. Candidates can fill SET application on the official website of Symbiosis International University (SIU). SET 2017 will comprise of five test papers – General, Design, Law, Engineering and Health Sciences. Xavier Institute of Communications conducts Online Entrance Test in order to offer admission to aspirants in mass communication courses available at the college. WLCI conduct All India Common Entrance Test for admission in UG and OG programmes, in Fashion Technology, Advertising and Graphic Design and Media and Mass Communication Courses.